Ada pertanyaan untuk Beyond Resort Karon – Adults Only? Dirancang untuk wisata bisnis dan plesir, Beyond Resort Karon – Adults Only terletak strategis di Karon, salah satu area lokal paling terkenal di kota ini. Kehebohan pusat kota terletak hanya 19 km dari sini. Dengan lokasi obyek wisata utama di kota ini yang sangat dekat seperti Dino Park Mini Golf, Stadion Peringatan Ibu Suri, Pantai Kata, tamu akan sangat menyukai properti ini. 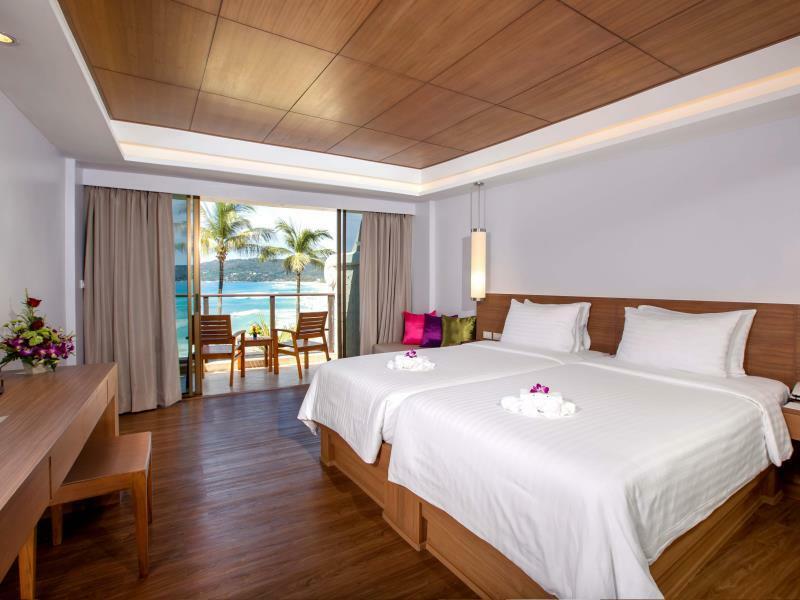 Di Beyond Resort Karon – Adults Only, pelayanan istimewa dan fasilitasnya yang unggul akan membuat pengalaman menginap Anda tidak terlupakan. Untuk kenyamanan para tamu, properti ini menawarkan WiFi gratis di semua kamar, resepsionis 24 jam, penyimpanan barang, Wi-fi di tempat umum, tempat parkir mobil. Masukilah salah satu dari 81 kamar yang menggoda di sini dan lepaskan rasa penat Anda dengan sejumlah fasilitas yang tersedia seperti ruang keluarga terpisah, akses internet - WiFi, AC, meja tulis, bar mini. Sepanjang hari Anda dapat menikmati suasana menenangkan dari kolam renang luar ruangan, spa, pijat. Temukan perpaduan menarik dari pelayanan profesional dan sejumlah fasilitas yang ada di Beyond Resort Karon – Adults Only. The first night we arrived we had trouble getting on the third floor where we had booked, but managed to sort somethings out and got the right room from our second night onwards. he room was nice, plenty or space. We were there for new years which had a pretty good party going on. Location wise it is ain a great spot for couples looking to relax. There isn't a heap of bars, though you need only walk 5-10 minutes to find them if you want. There was plenty close by though for restaurants, massage, convenience store and shopping. Tuk Tuk to Kata or Patong if you want to find busier spots but comeback somewhere quiet. We stayed in Beyond resort for 3 nights, 3th floor, wonderful view, spacious room (no elevator). The staff was very polite and helpful. The breakfast was pretty basic, it was ok for 3 nights. Many shops and resturants at your doorstep. 10 min drive to patong. Loved the pool although it seems small but it is nice and not crowded. Enjoyed our stay and good value for money. The location of this hotel and child free make it a great destination for adults. We had ground floor rooms which opened up to the pool area. great swim up bar with delicious cocktails. all rooms have ocean views. beach is a surf beach and not swimable during our stay due to strong winds. Breakfast was very good. location of the hotel was also good a lot of restaurants and bars next door. rooms were spacious and comfortable. highly recommend for a group stay. room tip if on lower level 115 onwards otherwise you overlook swim up bar and no privacy. We went for a yearly honeymoon trip. 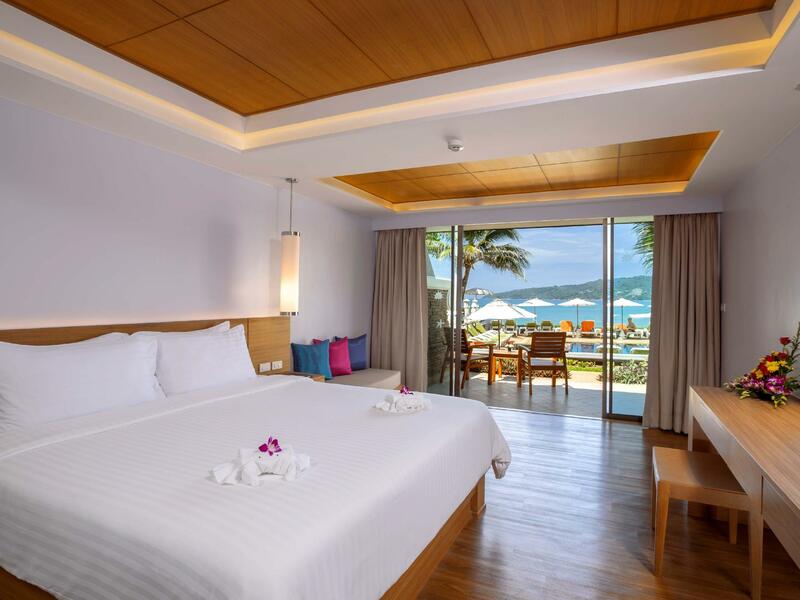 This time is to Phuket and we stayed at Beyond resort Karon. They had courteous staff and we even get complimentary rose petals on the bed as well as a coconut drink. 😊 the beach is beautiful and clean.. The cons is that they don’t have any arrangements for halal food. I presume if they do have such arrangement, they will be able to attract more Muslims tourist here as the hotel location is amazing. If not we would have stayed more nights here. Water heater was rather unstable, can be improved further. Overall I loved my stay here despite the struggle with food. On the beach location and staff was superb. The view from each room and location cannot be beat. The hotel has direct access to the beach. Staff is friendly, helped us hire a driver to take us to Krabi. Brekafast was great and we were able to sit on the terrace facing the beach. However, ant and cockroach problem. We only stayed 2 night and were bitten my mosquitos in while we slept. We called housekeeping after day 1 about the ant problem, I’m sure they tried to resolve, but we still ants later on in the day. Like most recent reviews, the hotel is a bit dated, but good enough for 2 nights, and the view and location can’t be beat! The room on the very left side is not recommendable as you can't see anything from the beach. The only view you have, is to the outdoor massage pavilion. The hotel staff was very helpful and offered us the next day another room in the center of the hotel. Breakfast with plenty of choice. WIFI could be upgraded. Went there for a small beach wedding and loved the place. Room was big, clean and right by the beach, although the water was a bit rough for us to go into the sea at the time. There are many restaurants and shops right outside the hotel so convenient but it may not be as lively as Patong or the other beaches. It's a little far from the centre of Phuket but that was our choice to stay in Karon. Overall, a lovely place to spend some quiet time with friends. The resort is superbly located on a beautiful beach., with two lovely oceanside swimming pools. Staff are very friendly & attentive. Accommodation is comfortable with adequate provisions. The buffet breakfast is great, and food at the resort restaurant is very tasty and good value. Will definitely be returning more often. 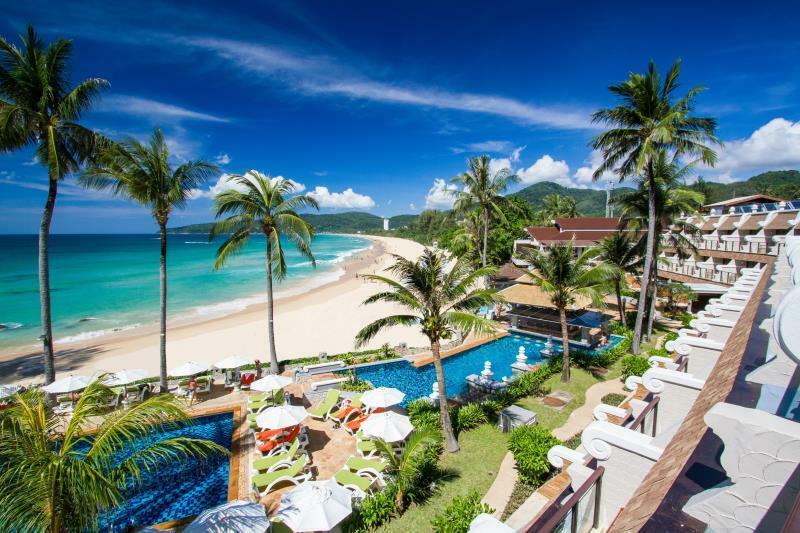 Nestled at the end of the Karon beach with access from poolside to the beach. Sensational views from our rooms and poolside. It's very quiet, good breakfast and comfortable rooms. The rooms were very clean but a little dated, having a balcony with views over the pool and the sea were gorgeous. The main drawcard of this resort is it's location, right on the beach. We had 2 rooms on the ground floor, with views down the beach and you could walk straight out to the pool. The resort is a little dated, but it is clean and comfortable and the staff are lovely. Breakfast was good but not 5 star. Plenty of good restaurants close by which are cheaper and better than the resort. In house spa is a lot more expensive than local places but massage by pool is good. Quiet and relaxing resort. I would come again. We chose a poolside room which allowed us to walk out the door straight to the pool or the beach. Breakfast buffet is good and the staff are all very friendly. Close to everything in Karon, and there are shuttle busses everywhere and Tuk Tuk's if you feel like taking a risk! Overall I'd love to stay here again, it's quiet and relaxing. We walked barefoot to the beach many times we were there. It was just really serene and beautiful to hear the crashing of waves at night and when u wake up in the morning. It was always wonderful to come back to a squeaky clean room after our excursions. Staff was friendly and quick to respond to our telephone requests. One of the resorts that I definitely want to come back again. Beyond Resort Karon hotel lives up to the "Adult only" part. A lot of couples and no children. The room is very clean and the windows looks out to the ocean and the view is awesome. There is a pool bar and great room service. The staff are polite and honest. I would stay here again. Arrived hotel with warmth welcome and enjoyed our quiet stay of 3 nights. Location of hotel was great...few steps down to a long stretch of beach... Plenty of restaurants within walking distance too. Staff's were friendly & polite. Could definitely vouched for the prompt respond to the sudden leak we had in our room ceiling on our last night, which was rectified within 20 minutes. GREAT JOB!! We would definitely return for our next vacation and recommend to those wanting quality time with loved ones. The resort is in a great spot right at the end of Karon Beach. We found ourselves frequenting the area of Kata more so than Karon as when you went out the front doors and turned right, there were loads of restaurants, shops and even a fun mini-golf place all within minutes of walking. There is no real need to get taxis anywhere if you don't want to. The beach was lovely and not too busy down our end, the pools are really nice and the restaurant had some delicious meals. It was actually great being an adults only resort - meaning no kids running around! Not the best place we stayed in Thailand (as far as value for money) but the location is fantastic - away from the craziness that is Patong Beach! I would recommend this area for a more relaxing time away. We stayed 4 nights in a premier seaview room. Loved it so much although our room was partially blocked by two tall coconut trees. 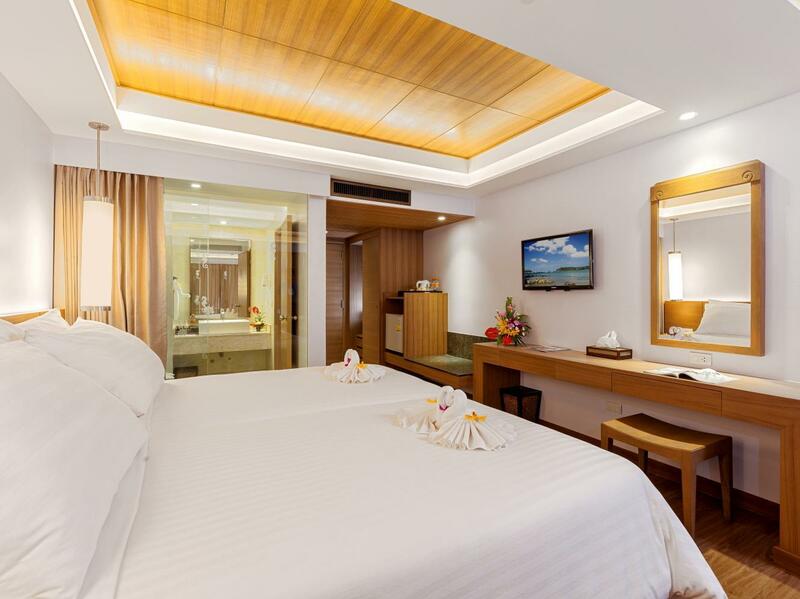 Rooms overlooking lovely seaview, perfect setting for a romantic getaway. The location is right smack in the middle of both Karon and Kata. So going to either side is a mere few minutes walk. Lots of restaurants near the resort. Staff are very polite and friendly, front lobby even helped me to print my boarding pass after I checked in online! The only pity is that beach chairs are no longer allowed in Thailand beaches, however this has got nothing to do with the resort as it is a military rule now. Well done Beyond Resort Team! We fully enjoyed our 3 night stay, only slight downside was our room not ready at 2pm checkin time but was ready by 3pm. The hotel was a little expensive but we were in peak season, all in all great stay.